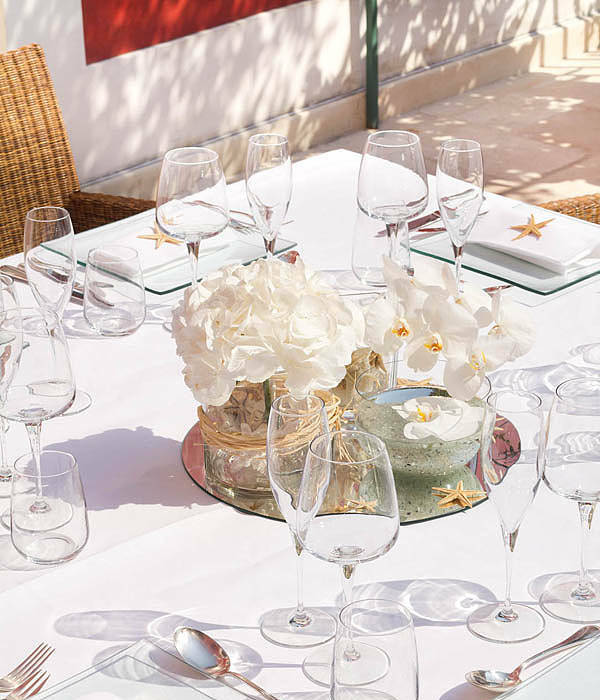 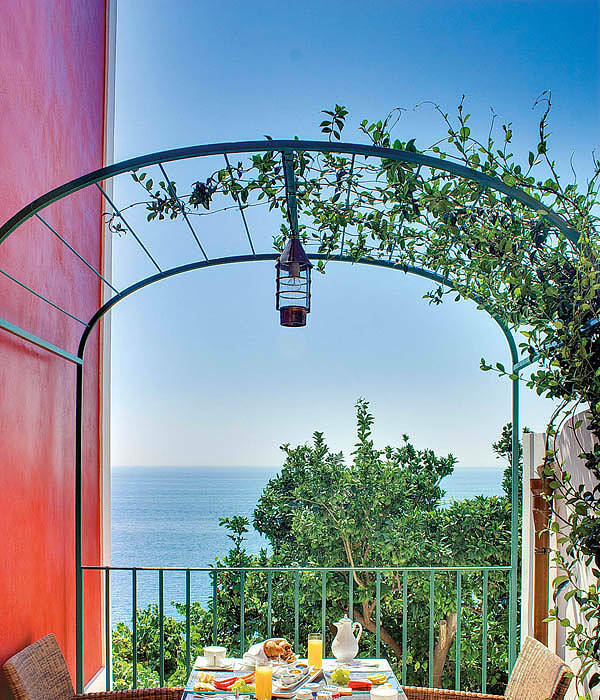 Close your eyes and imagine being on a sun-drenched terrace overlooking the shimmering Mediterranean Sea: a world away from the office, the hustle and bustle of the city, and the stress and strains of everyday life. 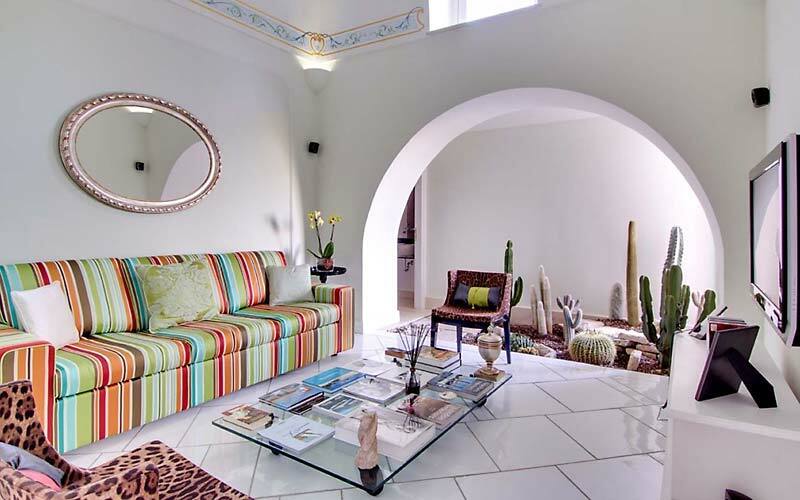 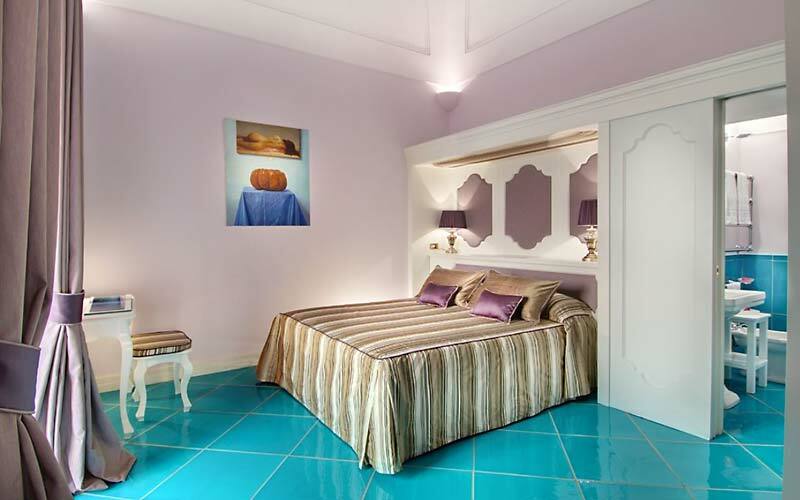 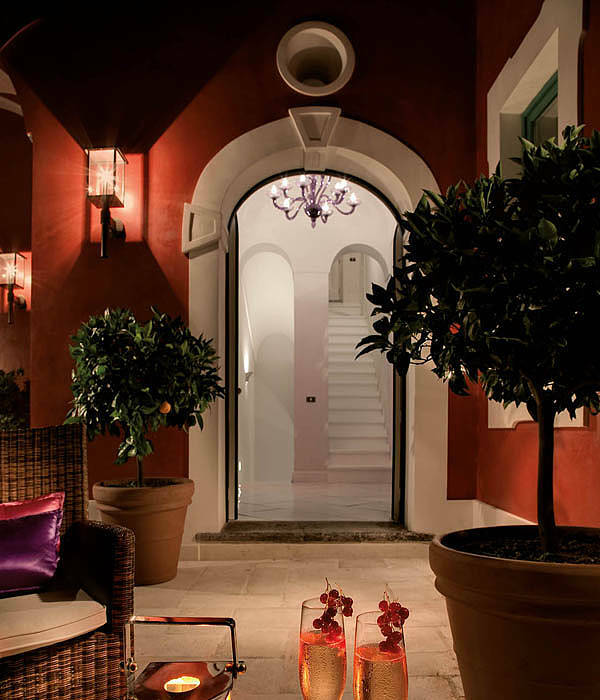 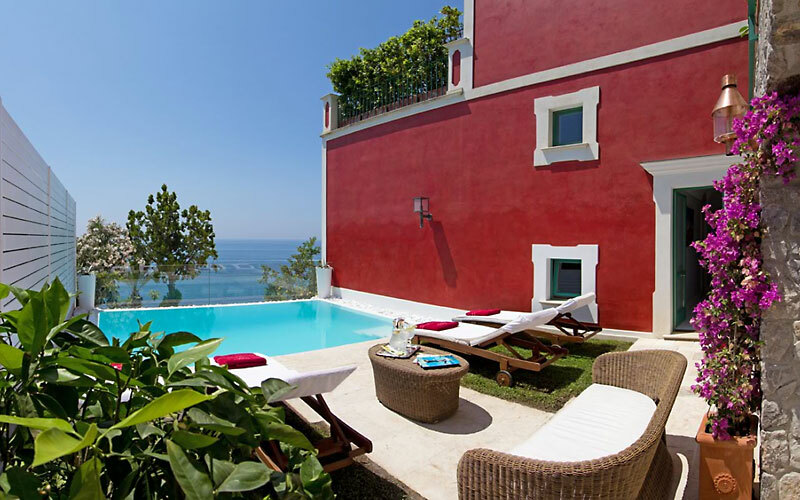 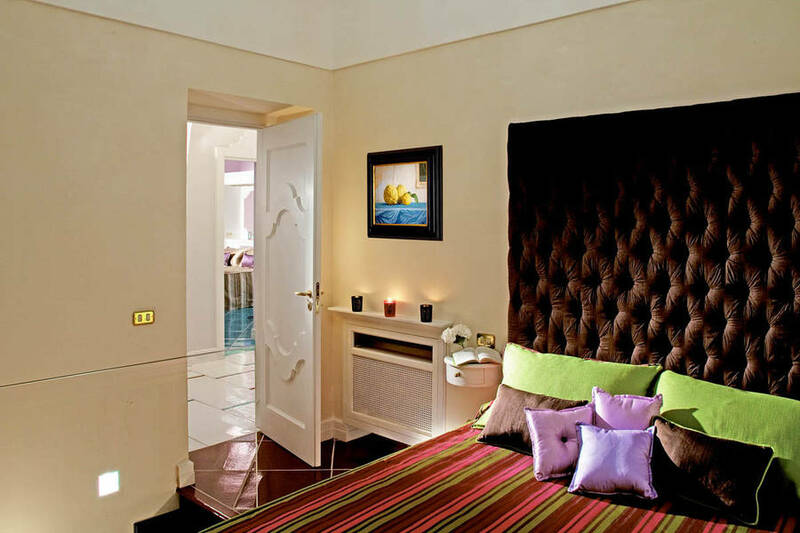 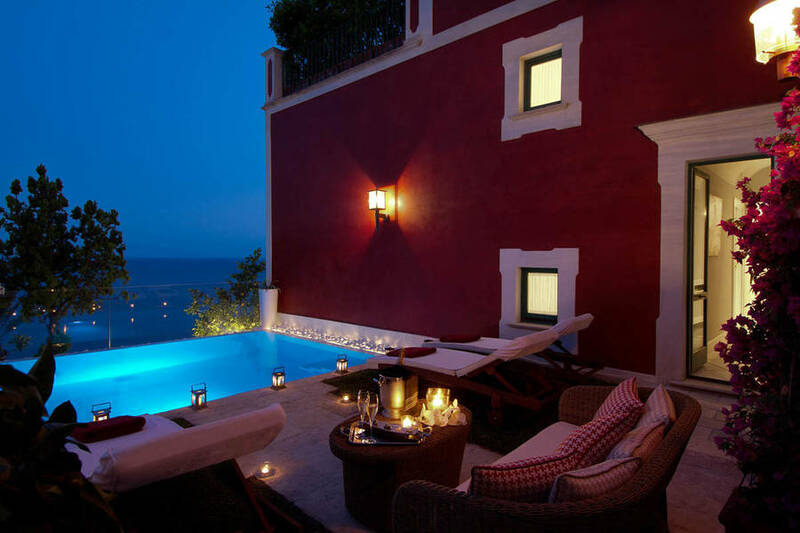 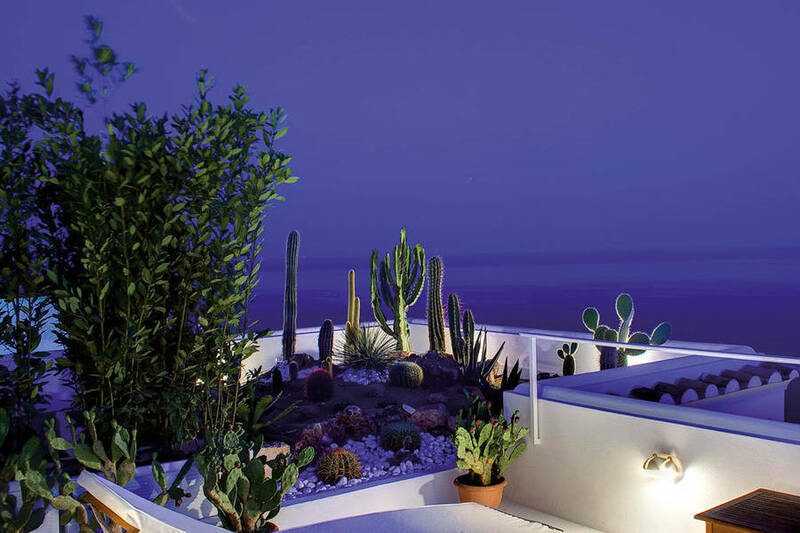 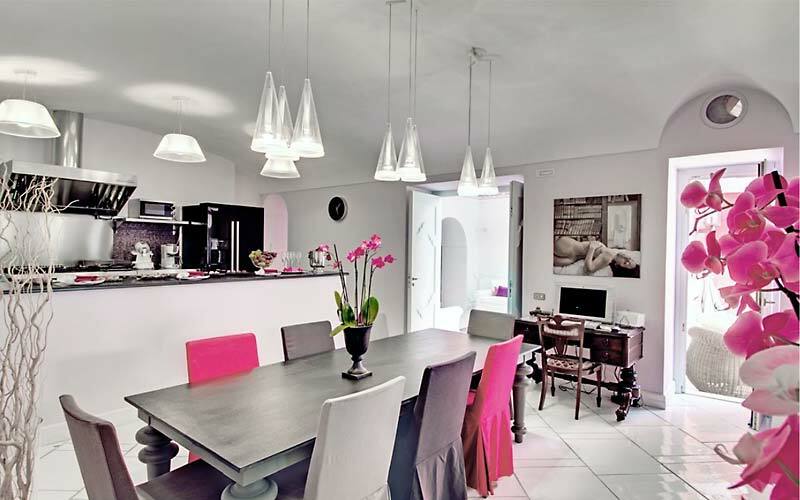 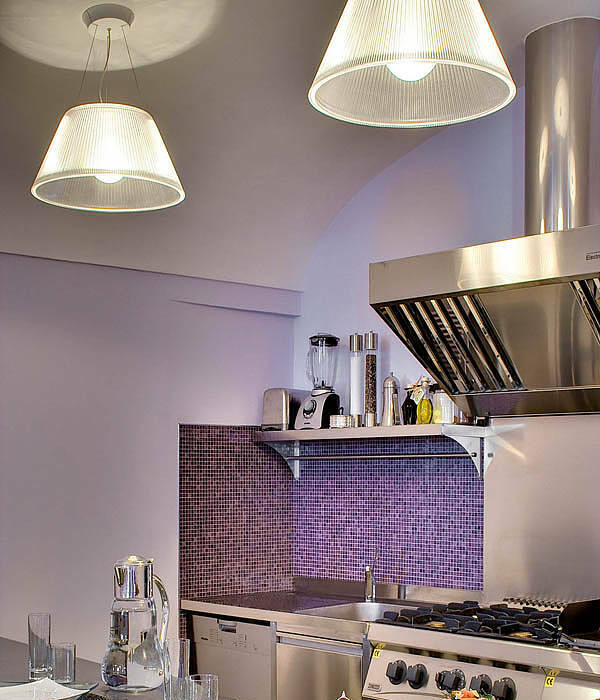 Imagine your dream holiday on the Amalfi Coast, at Villa Ferida, Praiano. 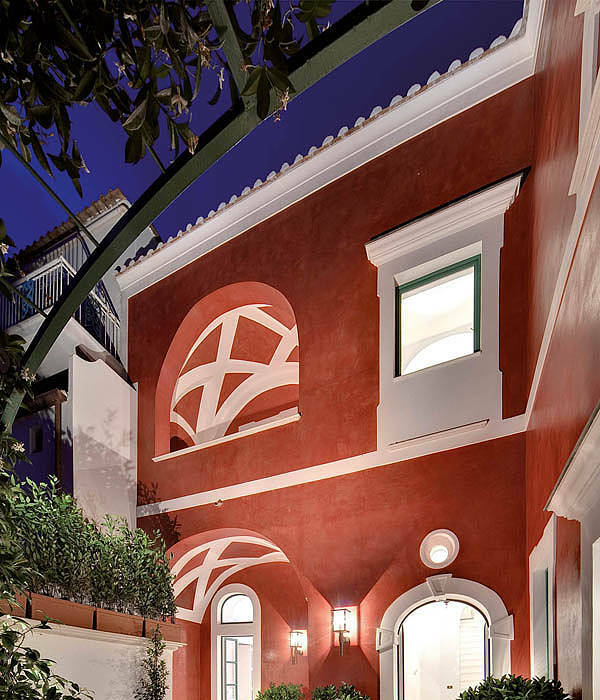 Once the elegant residence of the noble Fusco family, Villa Ferida has been painstakingly restored to all its original 17th century splendor. 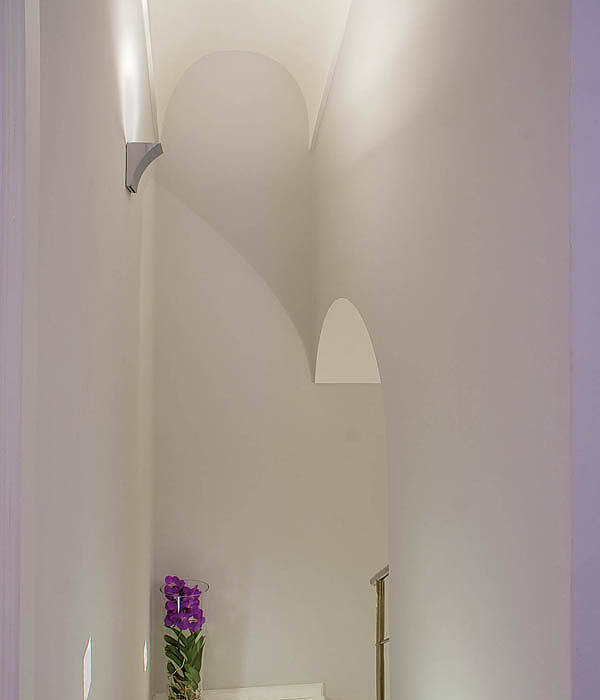 Vaulted ceilings, graceful arches and sweeping sea view terraces: Villa Ferida has all the features of the Amalfi Coast's most prestigious patrician homes. 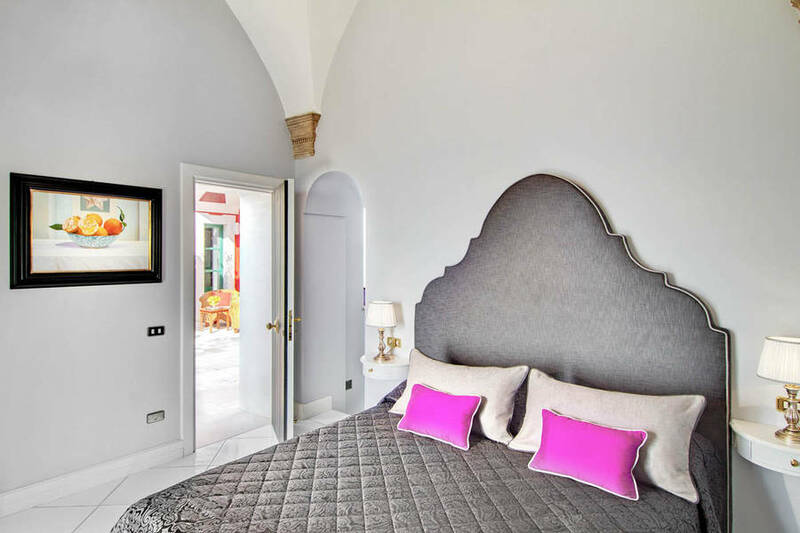 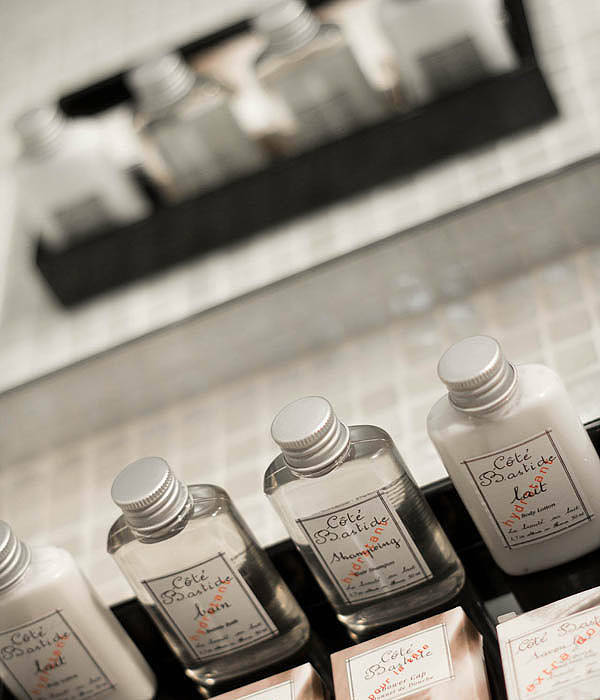 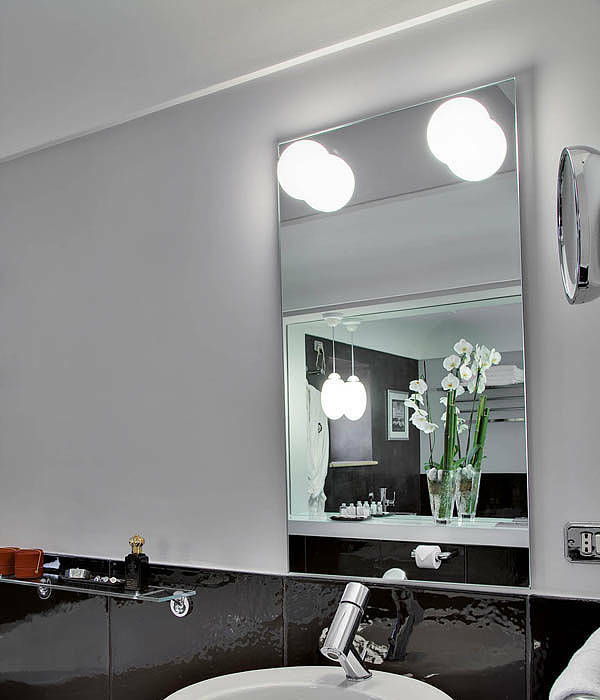 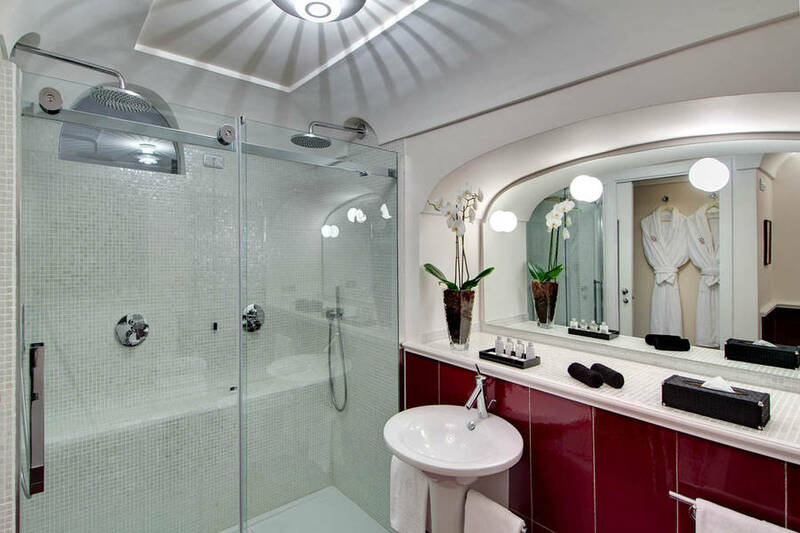 Add an impressive range of luxury hotel quality facilities and to-die-for designer interiors and you've got one seriously stylish Italian holiday home. 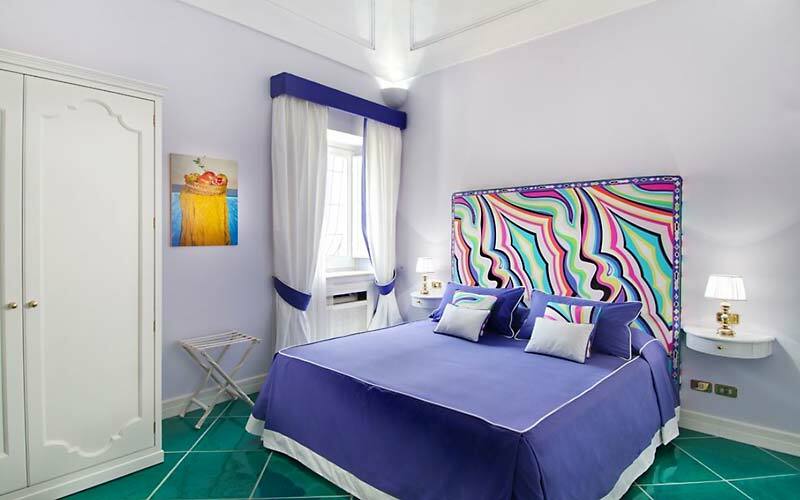 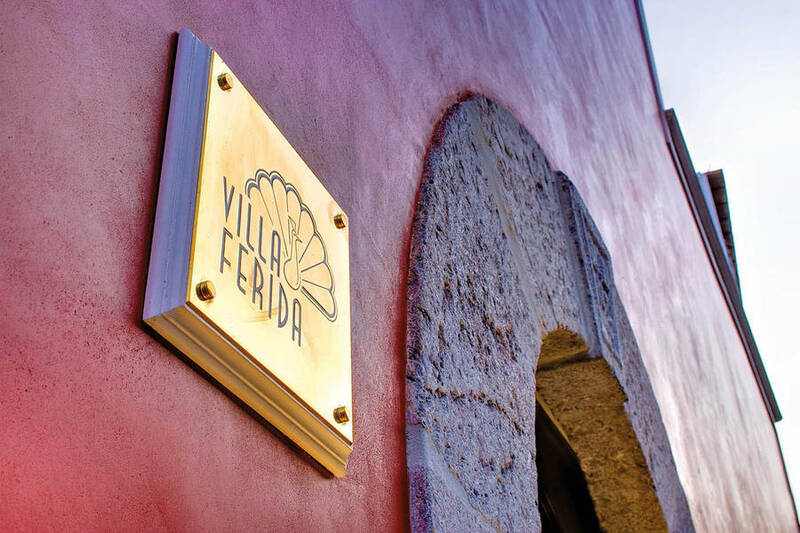 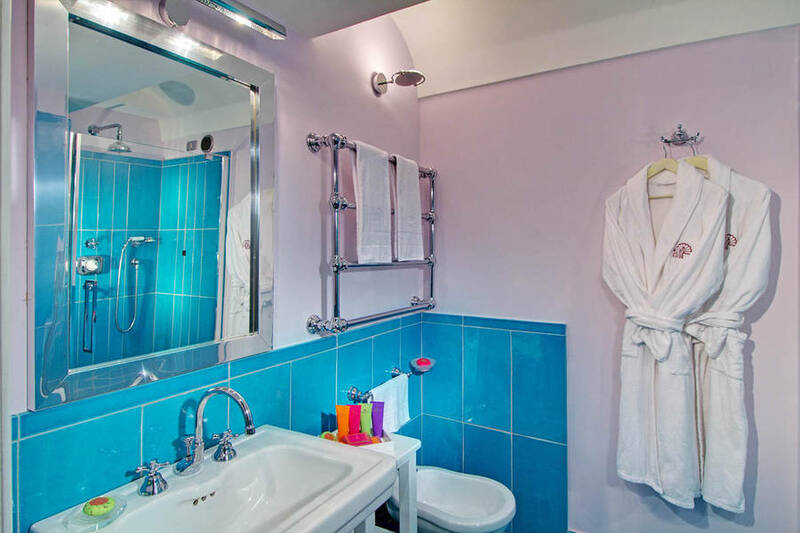 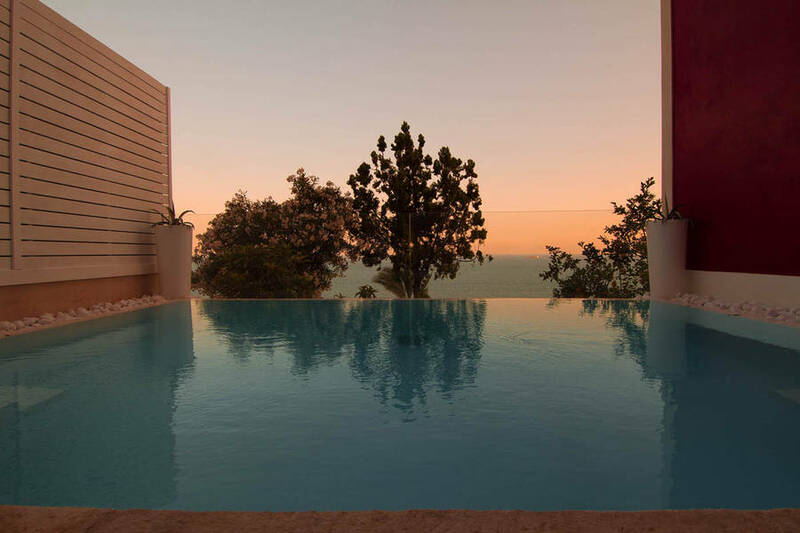 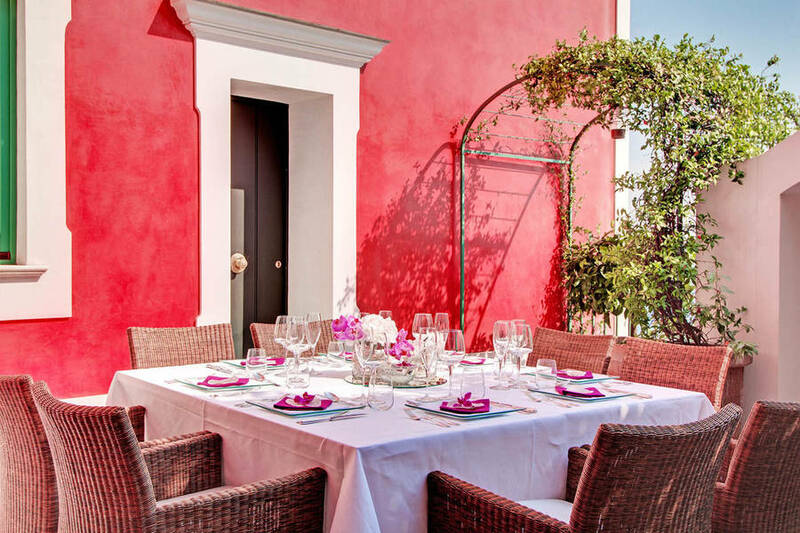 Brightly colored shantung silks, balconies facing the sea, floors in terracotta and a passion for contemporary design: you'll find the lot in Villa Ferida's stunning suites. 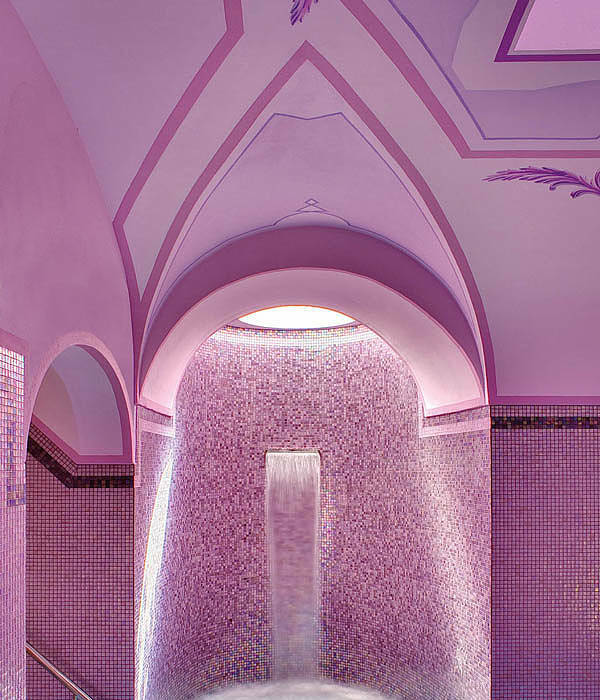 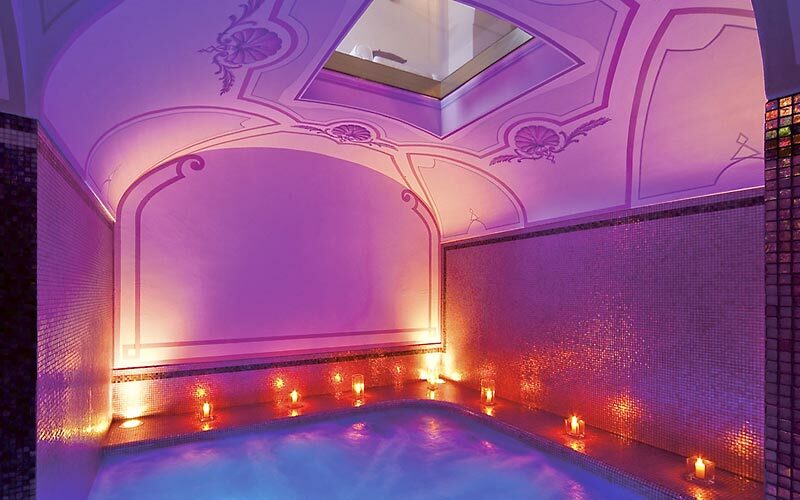 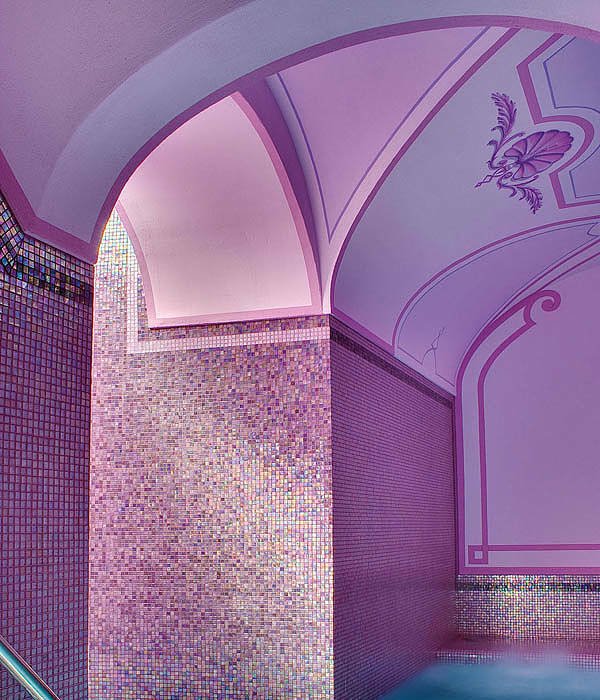 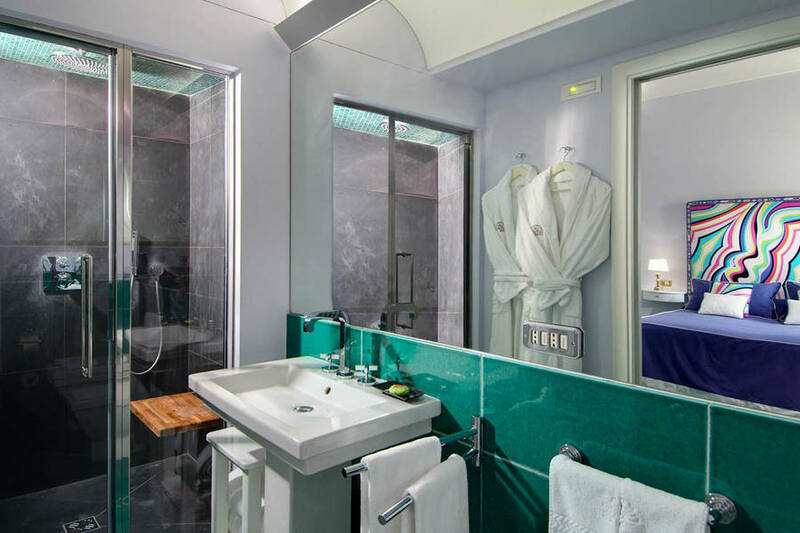 Spa goers are going to love this villa on the Amalfi Coast , and its gorgeous 'emotional pool with chromo-therapy and hydromassage. 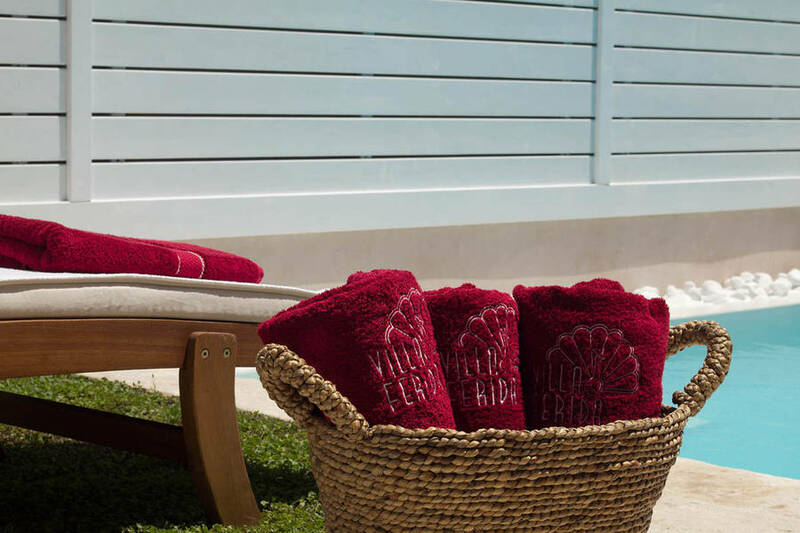 If you'd rather relax outdoors, there can be no place better to do just that than by Villa Ferida's spectacularly panoramic swimming pool! 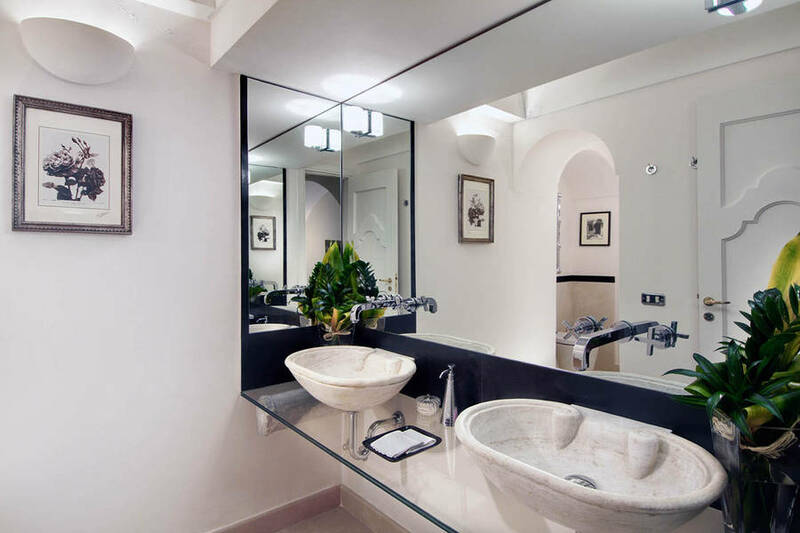 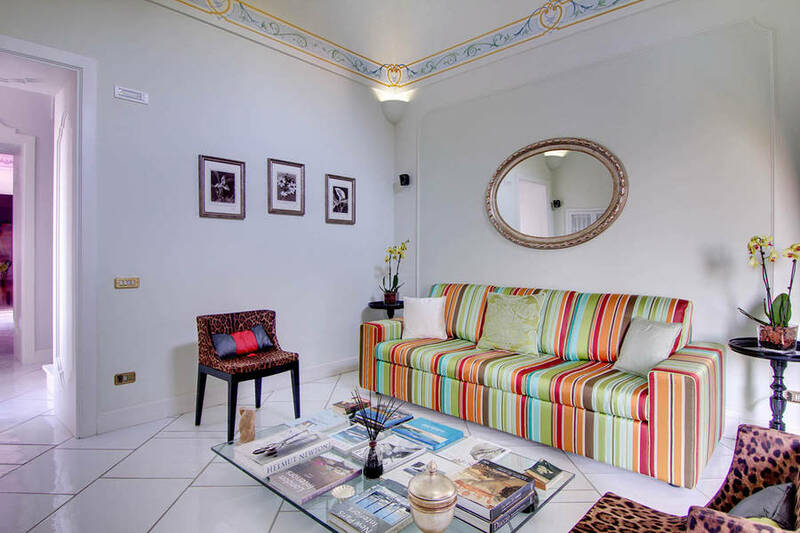 Villa Ferida boasts an unbeatable location, in the heart of the picturesque historic center of Praiano: one of the Amalfi Coast's most popular seaside towns. 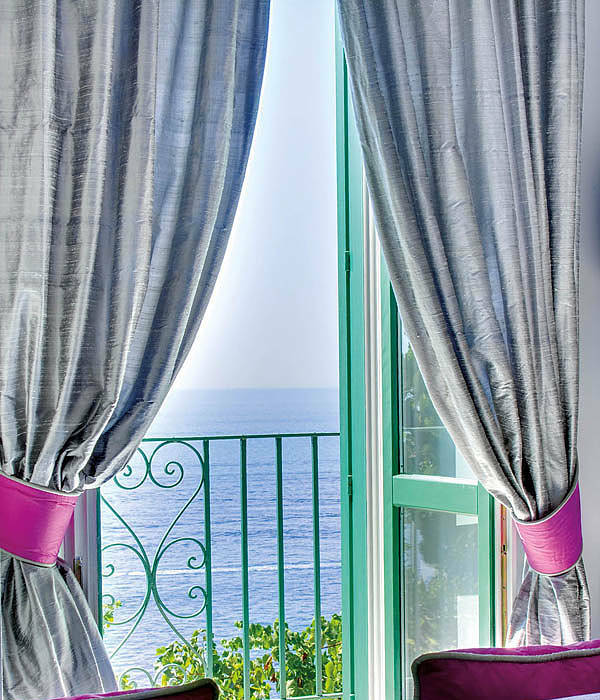 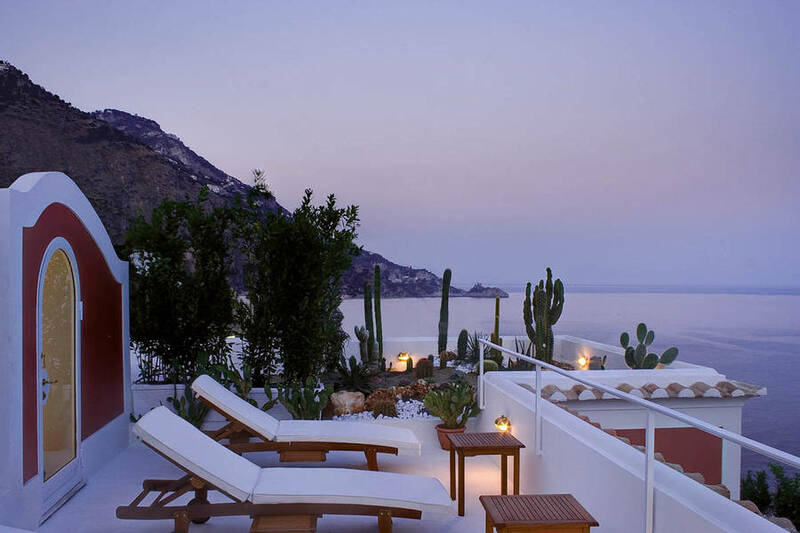 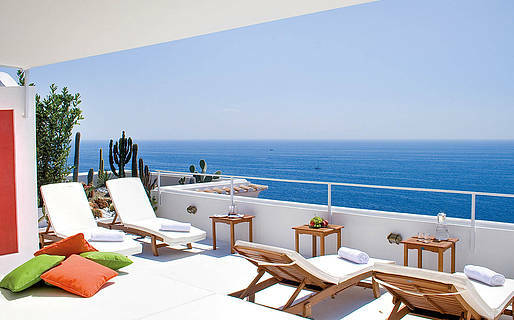 From the terraces of the villa, marvelous views of the Mediterranean Sea and can be seen. 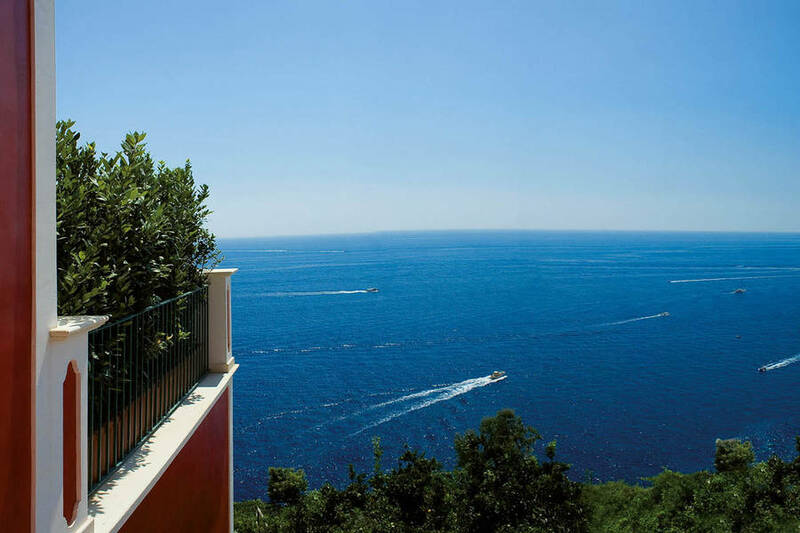 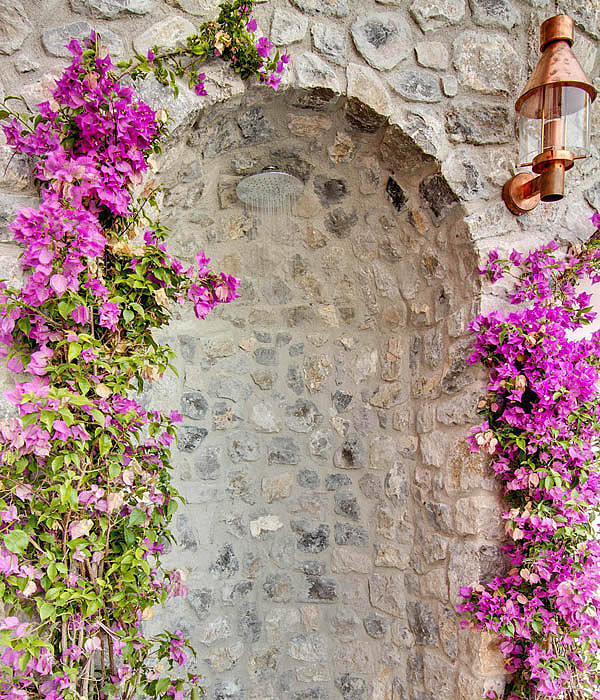 A great base from which to explore the Amalfi Coast, Praiano lies within easy reach of Positano, Furore and Conca dei Marini. 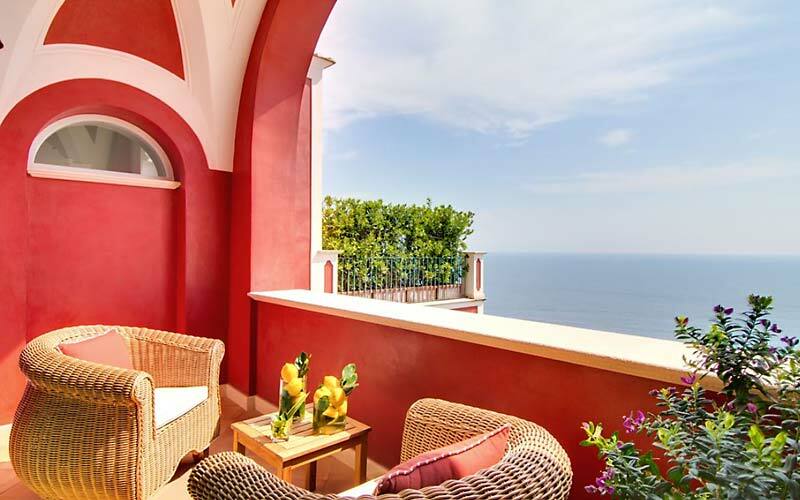 The equally beautiful Amalfi, Atrani and Minori are only a fractionally further away.